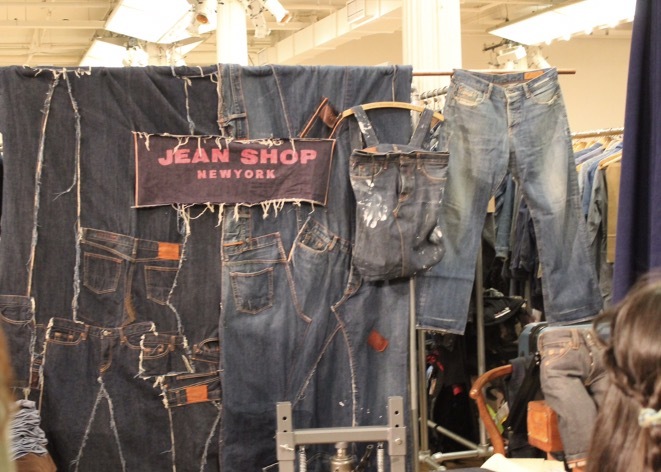 Today, I went to NY Denim Days Festival which was really cool! 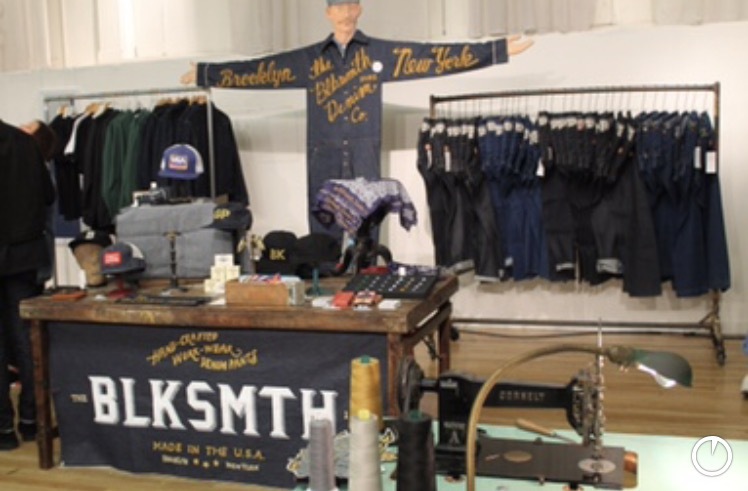 It was a street fair and inside the Metropolitan Pavilion with fun little activities, along with tents with lots of denim clothes. My favorite booth, sponsored by Artistic Milliners, was the spray paint where you could paint your own shirt different colors. 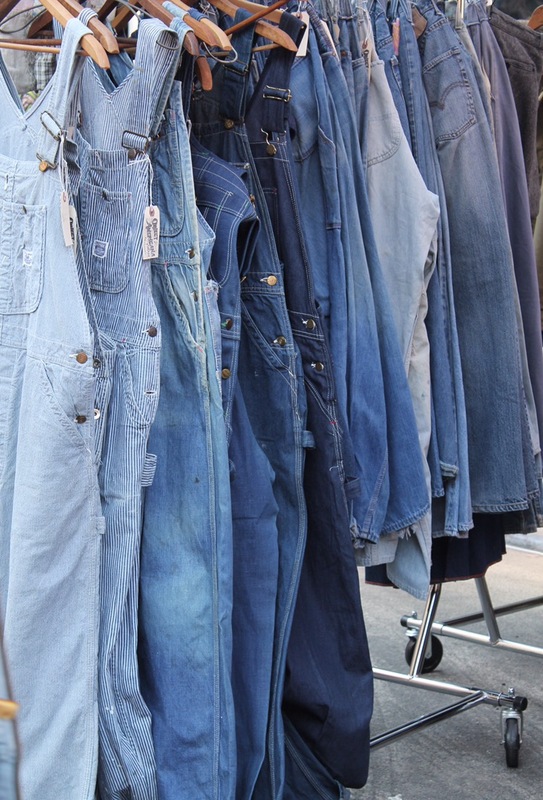 At the denim tents, they had a wide range of bucket hats, scarves, jeans, skirt, tops and kimonos, and all of it was denim or denim inspired of course. There was one vendor where I found some cool overalls and jumpsuits that were available in every wash imaginable. 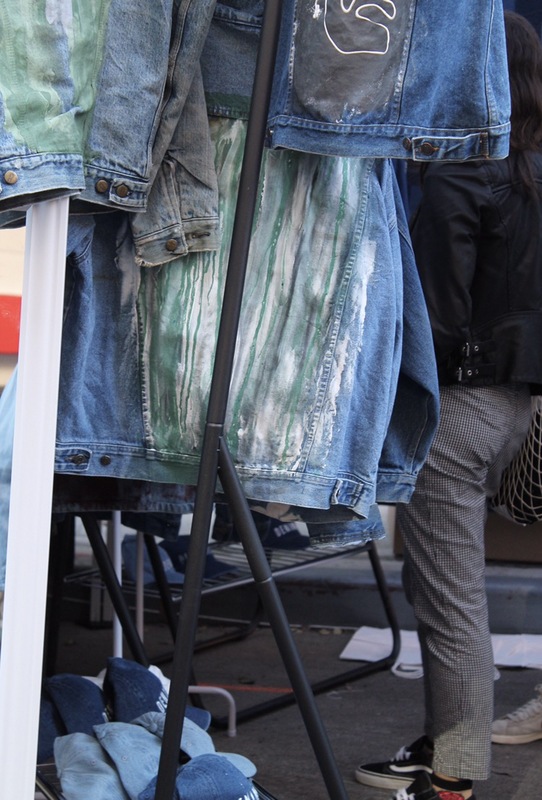 There were also a lot of crafted denim jackets and redone vintage. Personally, think the painted jackets have a cool grunge look to it, but I could never pull it off on a regular basis, especially at school. When you walk inside, everywhere you look it's a sea of blue. There was denim on the ceiling, on the ground and all around. When I visited each booth, I noticed that they had their own theme, which I thought was really cool! There were some that had the theme colors match their clothing, and some of them made their booths bright, so people would be more attracted to them. 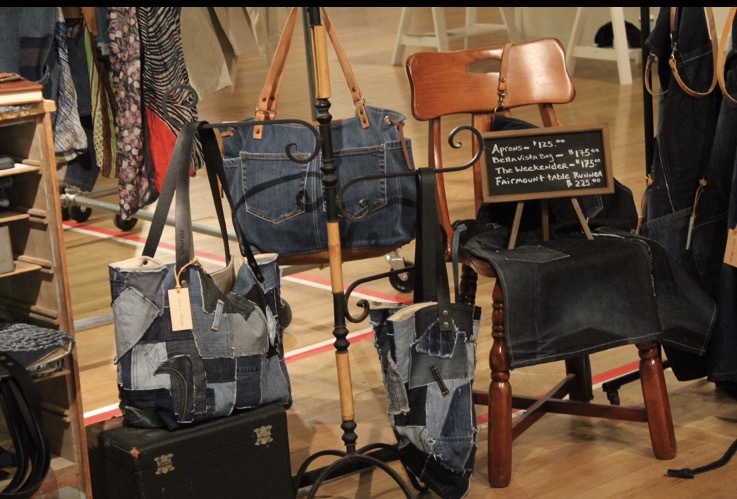 Several booths had vintage denim jeans and jackets displayed with other vintage items like wooden furniture. Some took vintage looks and incorporated current trends like tassels and feathers. I thought that was really cool and creative. My favorite was the vintage jackets from Detroit Denim. 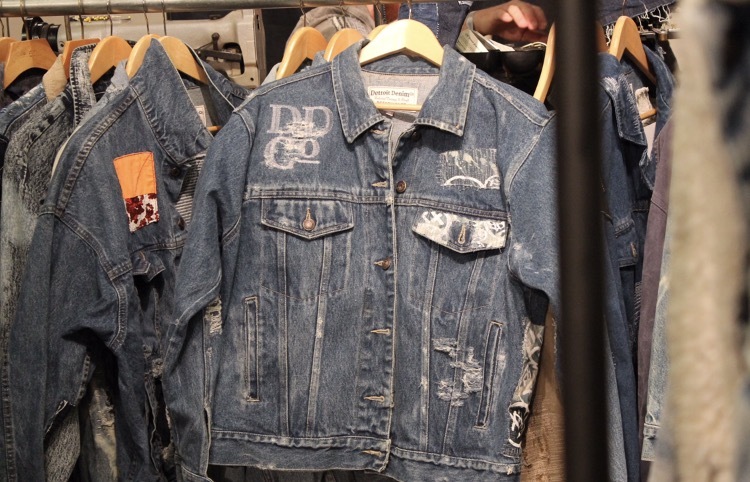 They incorporated different details like patches, washes and stitching into the jackets. Old world and new world mixed together. My favorite booth was 3 by 1 Cone because they had the biggest pair of jeans and let guests try it on. It was so funny to see me in them! Another booth that I really enjoyed going to was one that took recycled things, like zippers, embroidery, and patches, and sewed them on jackets and jeans. That booth reminded me of a Gucci or Prada because of the colors that were placed together. 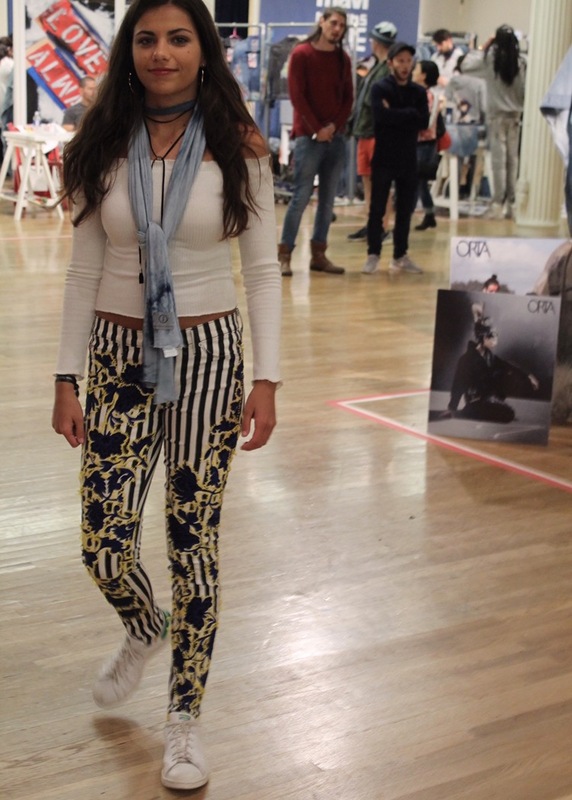 I tried on some of the pants that I thought were cool, and it was so much fun! Along with clothes, there were accessories and art on display too. 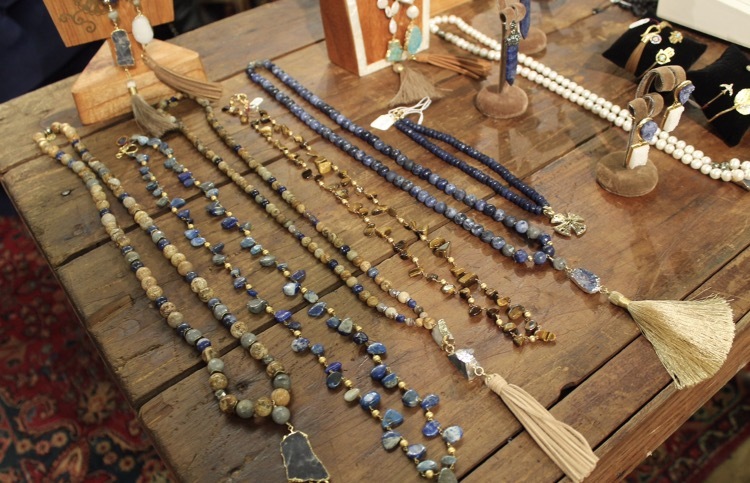 Jewelry to wear with your hipster denim or you could customize your own denim bag. There was make your own leather bracelet by The Jean Shop, where you can get letters engraved into the bracelet. Another one had a museum style booth by a company Tonello showing the way jeans are finished. My favorite one was the artwork which is made from indigo garments, designed by the artist, Ian Berry from London.